MOST FLEETS ARE LEAVING BIG MONEY ON THE ROAD. ARE YOU? Get up to 30% more mileage out of your tires. Ready to give it a try? Here’s how it works. Doctor Preload also saves a lot of technician time. Good Technicians are hard to recruit. Help them be more efficient. Using Doctor Preload to adjust a wheel end bearing takes about one minute from start to finish. 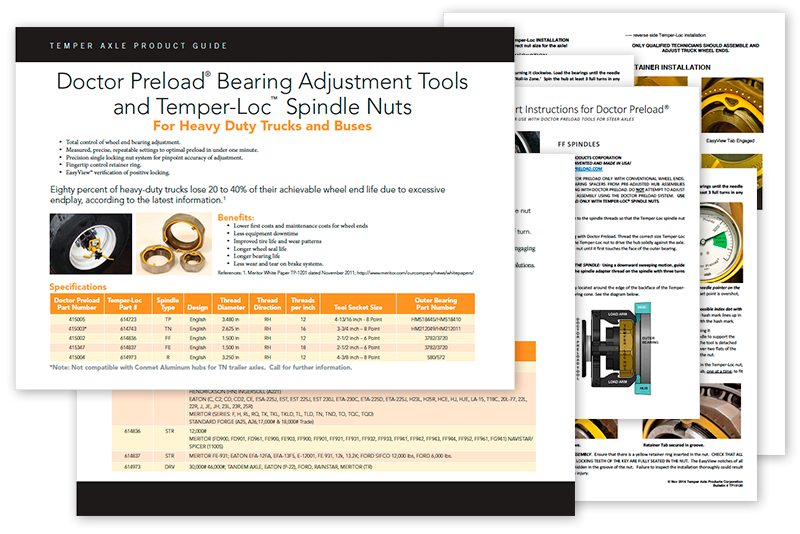 Together with Temper-Loc Spindle Nut, specially designed to work with Doctor Preload, the tool saves technicians hours of time by simplifying the steps involved in bearing adjustment and taking the guesswork out of consistently achieving preload settings. Fleets realize huge time and cost savings over other methods, which add up quickly. Temper-Loc Spindle Nuts enable precise adjustment and come with a fingertip-control retainer ring technicians appreciate for its ease of use and safe operation. 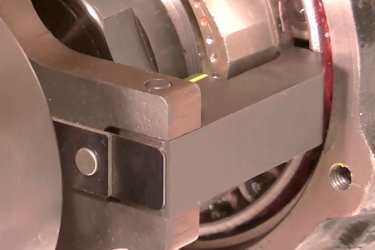 EasyView® tabs help technicians confirm spindle nuts are securely installed. Wheel end tapered roller bearings are designed to be set to preload. They are not designed to be “loose” or have endplay. In preload condition, all clearances (endplay) between components in the wheel end assembly are completely eliminated and the bearings are slightly compressed. 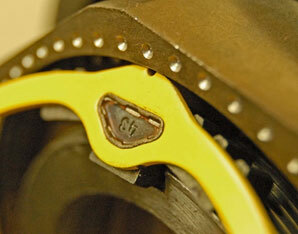 Keeping a light preload force on the bearings maintains roller alignment so they roll the way they should. The rest of the wheel end components including tires, seals, and brakes are all designed to work best under preloaded bearing settings. Preload is not Pre-adjusted: “Pre-adjusted” is a term that refers to wheel ends with a cone spacer and higher cost “close tolerance bearings” that will set to endplay and reduce tire life. 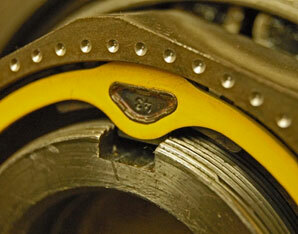 They cannot be adjusted to a better setting, without removal of the cone spacer. 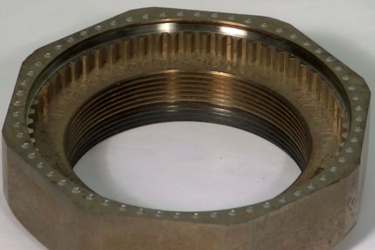 Preload is not torque: Torque should never be used to adjust bearings to a presumed preload condition because the final preload setting cannot be measured, thus creating unsafe inconsistency in bearing settings. 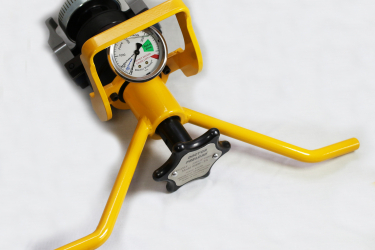 Safety demands that preload always is set using direct measurement of the preload forces. Is endplay hurting my fleet? Yes: The more endplay, the more money you’ll spend on vehicle operation and maintenance. Bearings set to any amount of endplay, as small as a few thousandths of an inch, cause rapid and irregular tire wear, resulting in shorter tire and tread life. 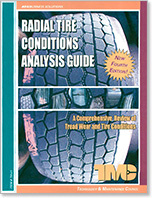 Developed by tire and chassis engineers, the Radial Tire Conditions Analysis Guide, Technology & Maintenance Council (TMC), Fourth Edition, identifies 14 different common irregular tire wear patterns that are caused by improper bearing adjustment. Setting to preload helps solve these problems. By removing endplay and setting bearings to preload, irregular wear is reduced or eliminated, enabling optimum tire performance and leaving less money on the road. Bearing and seal life can be maximized when the bearings are adjusted to a light, controlled preload setting. 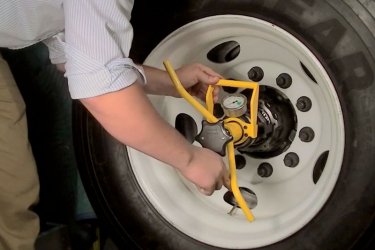 When truck and trailer wheel ends are adjusted in a controlled manner, slight preload can be beneficial to the success of long wheel end life. 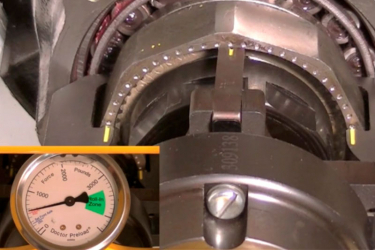 Slight preload can improve bearing, seal, and tire life, but only if the entire process is in control. ‘In control’ means that you actually know the bearing setting process will result in a consistent bearing setting range. Wheel ends that operate in slight preload or with endplay tolerances tighter than .001 to .005” may offer superior bearing and wheel end performance and longevity. Our tools are proven to deliver significant advantages to fleets of all sizes – from a single owner operator to large national fleets. Doctor Preload and Temper-Loc spindle nuts used together offer significant benefits. What’s your yearly spend on tires? What if you could cut it by 30% or more? That’s what one customer did. After converting 300 trailers, he reduced his tire bill by 31% before the end of the year. Loose bearing settings accelerate irregular wear, but preload bearing settings can eliminate it and extend tire mileage. When bearings are set to measured light preload, unscheduled and emergency maintenance time is reduced. 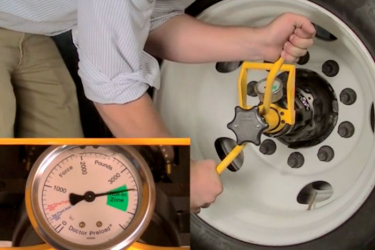 Doctor Preload makes adjustment procedures so simple, technicians can adjust a wheel end in only one minute. And, with everyone using the system, you can guarantee consistency and eliminate doubt. Tire manufacturers know that fuel efficiency goes up as tire treads wear down. But if you are removing your tires because of irregular wear, when most of the tread has plenty of life left, you are leaving that extra fuel mileage on the road. With preload settings, you’ll have fewer tires to retread or replace. And, as they wear more evenly and you run them longer, you’ll experience an increase in fuel efficiency over the life of your tires. If bearings are measured to light preload, vibration and ABS faults are reduced, allowing brake systems to perform as designed. With all bearings adjusted consistently and accurately, you’ll eliminate variability that can create conditions leading to catastrophic wheel-offs. 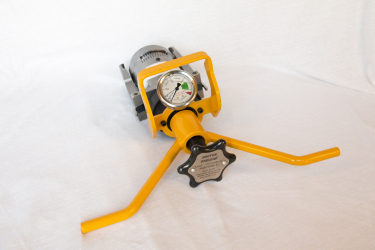 The tool also takes the heavy work out of bearing adjustments, reducing technician strain and lessening the chance for back, neck, arm or hand injuries. 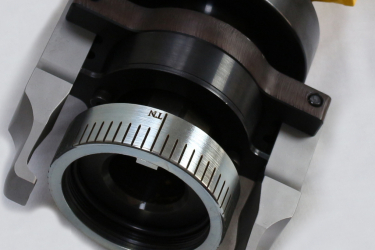 When the seal lip is allowed to translate back and forth against the spindle surface because of endplay, it quickly degrades seal efficiency and leads to premature leaks and unplanned maintenance events. 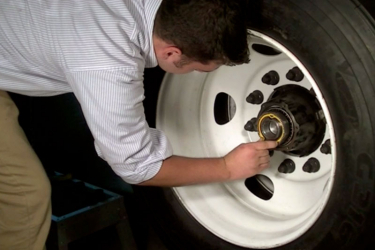 Customers with wheel ends in preload report eliminating seal failures. Watch our videos and download our instructions and catalog sheets to see how easy it is to use our system to deliver pinpoint accuracy. 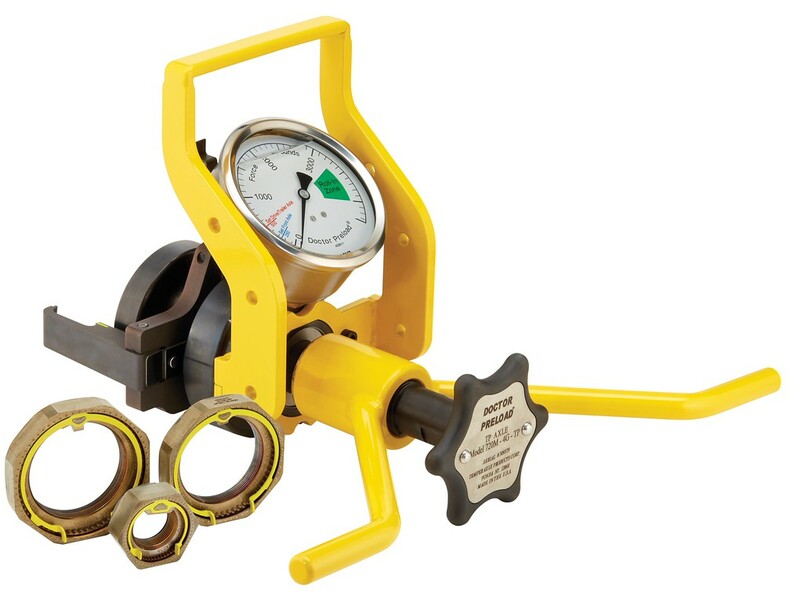 Complete Doctor Preload 900 Series ProcessComplete bearing adjustment takes only a minute! 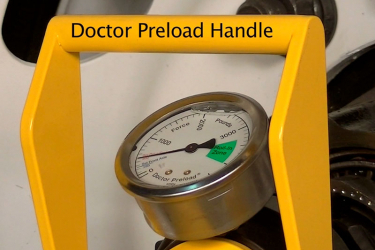 Complete Doctor Preload ProcessComplete bearing adjustment takes only a minute! 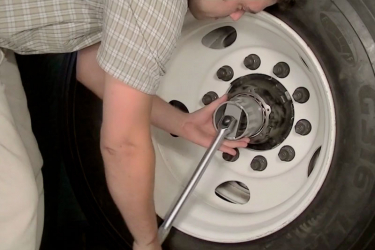 Since converting our fleet to preload settings with Doctor Preload tools, wheel ends are no longer an issue. Our tire wear problems, which were often severe, are totally gone. I’m a firm believer in the Doctor Preload and Temper-Loc nut system. It’s helped us cut recap use by one-third over two years, and reduce inside tire edge wear-out by 90%. Our wheel ends run truer and run longer. Setting the proper preload can’t be anything but good. That’s why we’ve invested in Doctor Preload and Temper-Loc spindle nuts. I’m glad I spent money on this system and it’s working well on my trailers. We believe in the product and it’s doing exactly what it promised to do – keeping consistent preload on the wheel bearings and contributing to good to better tire wear. I use the system on roughly 100 trailers and it’s keeping preload on the wheel bearings. It has been a good addition to my fleet. The system has been a valuable addition to our maintenance operation. On our two most recent orders of new trailers, we insisted that the OEMs install Temper-Loc nuts, which puts us on the right track with properly managed bearing settings. We’re ready to help you save money and answer your questions. Call us today, (518) 853-3467, or feel free to fill out the form below and a member of our team will reach out to schedule a call with you. Doctor Preload and/or its use may be covered by the following patents. Temper-Loc and/or its use may be covered by the following patents. SafetyCert and/or its use may be covered by the following patents. Doctor Preload and Temper-Loc Spindle Nuts are proudly made by hard working Americans in our Fonda, New York and Fremont, Michigan facilities. Available in North America where Meritor products are sold and distributed in Asia by York. Our products and experts can be found at events sponsored by these industry associations. 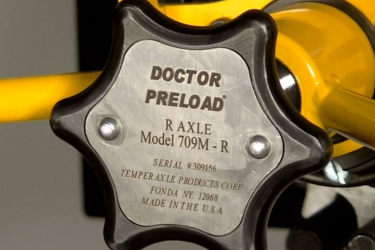 Doctor Preload is a product of Temper Axle, a company that has earned the trust of truck, bus and specialty fleets around the world. We are backed by parent company, Temper Corporation, a leader in specialized bearing adjustment solutions for over 40 years. The company designs & manufactures products for a wide range of applications and industries.